Update: Wex is down at the moment, we would recommend you staying away until further notice. Wex trading might sound like a new platform, but that’s only half true. 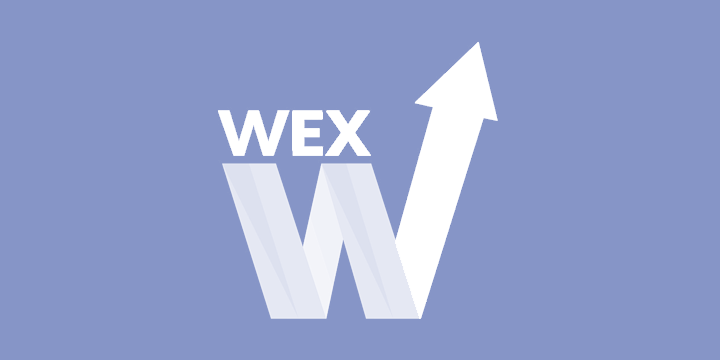 Wex, which describes itself as a payment service provider, was rebranded from BTC-e amid a scandal that rocked the company’s former incarnation. Dmitry Vasiliev is the CEO of Wex. Daily trading volume is approximately $79 million at last count. The exchange platform is good for spot trading in bitcoin (BTC), Litecoin (LTC), ether (ETH), Namecoin (NMC), Novacoin (NVC), Peercoin (PPC), Dashcoin (DSH), Bitcoin Cash (BCH) and Zcash (ZEC) also takes trades in EUR, RUR and USD for currency pairs. While BTC-e was domiciled in Russia, World Exchange Services, or Wex, has taken on a new headquarters in Singapore, making itself as far removed as possible from its former stigma-tainted life. But traces of company’s former life are still evident in features such as Russian-language material on the website and in videos. It is important for users to get to know the faces behind the new Wex platform, but there’s not a ton of information about the management team on the website. Wex, however, was a general sponsor at “Crypto Bazaar 2017” in December in which the Wex team boasted they are “the largest exchange in the post-Soviet territory,” showing off a bit of their personalities in the video. Less than one-fifth of trading platforms support the Segregated Witness, or SegWit, protocol for speedier transaction speeds and lower costs. WEX.zn is among them, joining the ranks of Coinbase and others. It supports SegWit on both the LTC and BTC networks. Chat feature for support. Wex says it responds within one day. Perhaps users who feel they’re not getting the attention they deserve on Reddit to switch to the chat feature. One Wex user on the following Twitter thread complained of Wex holding “thousands” of his coins and failing on support. Wex, meanwhile, defended itself, claiming to only need more time for the verification process. In this specific situation, the user claims that it was Wex that reset the password, leaving his hands tied to perform account recovery. Wex appeared unable to provide specific answers to this user’s queries, which despite not knowing every detail gives the impression of poor customer service. Meanwhile, Wex in response to demand has earmarked a special section for the highest rollers at the following site, with account sizes reaching the $10,000 and $100,000 milestones at – wex.kayako. This section can only be accessed by contacting management directly via the site. Something that users should also keep in mind is that credit card issuers may tack on additional fees to cryptocurrency exchanges that are not transparent at the exchange level. All exchanges are at risk of a hack but Wex lived to tell about theirs. As of February 2018, the exchange revealed that in the past month, it “detected more than 100 attempts to hack accounts,” according to the company’s Facebook post. Vigilance is the responsibility both of the exchange and users. For a little history, in July 2017, BTC-e revealed that the US federal investigators had seized bitcoin wallets and company servers. A company executive was charged with alleged anti-money laundering activity. Wex’s customer response thus far has been somewhat “dry” by the company’s own admission, and this has alienated some users. Today’s Wex is an unregulated exchange that’s domiciled in a jurisdiction that’s known for having greater clarity on cryptocurrencies versus other countries and boasts one of the most popular choices among ICO issuers. Wex 2.0, however, features security prominently throughout its social media, website and marketing materials. Some users may accuse the exchange of taking security too far, especially BTC-e users who are locked out of their accounts on Wex. As one Reddit poster said: “They know the balance of the accounts but only give it back for people that can provide screenshots of every account movement on btc-e.” Chief among its standards are know-your-customer (KYC) and anti-money laundering (AML) protocols, which are the laws enforced in countries such as the United States and Australia. Wex, however, is closed to US investors. BTC-e, on the other hand, was active in the US market before federal officials shut the exchange down. Wex chief executive Dmitry Vasiliev believes that the ICO market will lose traction in the coming year. Meanwhile, he also expects greater professionalism to enter the market as it matures. He doesn’t invest in ICOs. To sign up for Wex, former BTC-e users should sign in with their previous credentials including email and password to access the new platform. Unfortunately, some users no longer have access to the same email address as they did before, or they’ve lost the password. As a result, Wex has been riddled with complaints by investors. Wex explained in a tweet: “We remind you that the password for the account is valid only for six months. At the end of this period, when you log into your account, you will receive a message, suggesting you change your password. Please do so in order to avoid the hold on your account.” Users who have let their account untouched for months or longer may find themselves locked out of their own account. The additional hoops that investors must jump through are presumably meant to protect them from bad actors. Wex seems to mean well and no doubt is looking to protect its own reputation as well. There is a clear disconnect, however, between Wex customer service and legacy users, as evidenced by unhappy customers voicing their frustration on certain Wex forums. Where Wex seems to be falling short is in communicating the new standards with these users. In short, they need better customer service if they want to restore their image among all users. Users should further be prepared to prove their identity at any time in Wex’s attempt to prevent fraud and comply with KYC rules. The open-source app is free and according to the app store it’s secure, as it doesn’t permit withdrawals and therefore is not password protected. Users should just be sure to update to the latest version to get the most out of features such as charting. The reviews range from “overall not bad” to “perfect,” both of which were written since the changeover from BTC-e to Wex. Many of the other reviews were written prior to the change. Wex has staged a comeback from its former version. But they still have work to do to remove the stigma that has carried over for some users, particularly those who can’t access their account. Wex’s strict KYC/AML standards is a plus for security, but some remain frustrated for a lack of communication by support. This is a balance that Wex will have to strike sooner than later in order to compete with the hundreds of exchanges that are out there. This is especially true with exchanges such as Robin Hood offering commission free trades for users on its platform.